A massive car explosion which hit central Damascus on Tuesday morning left at least 13 people dead and 70 others injured, according to Syrian state TV. The incident took place in Marjeh district, a historic part of the capital. The blast went off near the Semiramis Hotel and a building which once housed the country’s Ministry of Interior Affairs. The ministry had earlier been moved to another site. The Syrian Observatory for Human Rights watchdog is cited by AFP as saying the car bomb was detonated by the former ministry building's back door. Eyewitnesses say they heard a powerful explosion and then saw thick, black smoke rising from behind a group of buildings. Activists reported gunfire was heard in the area immediately after the explosion. A resident of Damascus, living 1.7km from the blast site, said the explosion shook the doors of her house. "It must be huge for me to hear it like that. Casualties must be horrific because it is a super busy square at this time of day," she told Reuters via Skype. Al-Ikhbariya TV described the blast as a terrorist explosion. 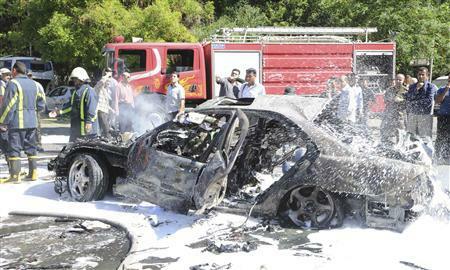 It comes a day after Syrian Prime Minister Wael Halqi survived an attempted bombing assassination in central Damascus. "No-one can solve Britain's problems"
The Labour chief made the gaffe as he drummed up support for Thursday’s council elections. 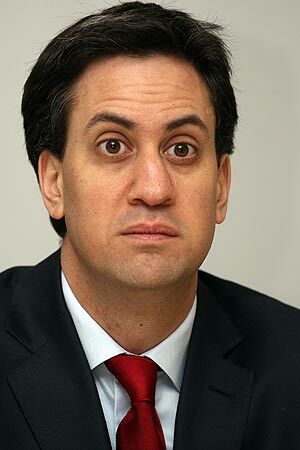 Mr Miliband also refused to admit Labour would increase borrowing if they were in power — even though Shadow Chancellor Ed Balls had already said as much. He insisted his plans for a temporary VAT cut — costing an estimated £12billion a year — would cut borrowing “in the medium term” by boosting growth. The comments came as Labour published six bills they would include in next week’s Queen’s Speech. The Tories said the plans, such as re-instating a 10p income tax band, would cost £28billion. In another blow for Mr Miliband, a survey found 56 per cent still blame Labour for Britain’s economic woes. 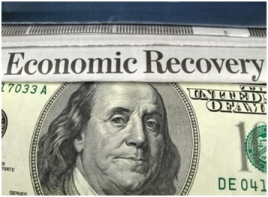 “From the end of the recession in 2009 through 2011 (the last year for which Census Bureau wealth data are available), the 8 million households in the U.S. with a net worth above $836,033 saw their aggregate wealth rise by an estimated $5.6 trillion, while the 111 million households with a net worth at or below that level saw their aggregate wealth decline by an estimated $600 billion.” Pew Research, An Uneven Recovery, by Richard Fry & Paul Taylor. The Sri Lankan government is strengthening a crackdown against its critics by sanctioning abuses often committed by security forces or their proxies, Amnesty International said Tuesday. Journalists, human rights activists, and opposition politicians have been targeted in a pattern of threats, harassment, imprisonment, and violent attacks, the report said. "There is a real climate of fear in Sri Lanka, with those brave enough to speak out against the government often having to suffer badly for it," Asia-Pacific director of Amnesty International, Polly Truscott, said in the report. 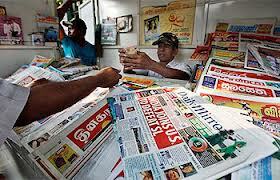 The Sri Lankan government did not comment on the report, but has previously denied similar accusations. Investigators have reportedly found female DNA on at least one of the bombs used in the Boston Marathon attacks. Investigators on Monday removed bags of evidence including some containing DNA samples from the home in Rhode Island where the widow of suspected bomber Tamerlan Tsarnaev has been living, according to a person familiar with the investigation. FBI agents spent hours at the home of Katherine Russell's parents in North Kingstown, Rhode Island, and came out carrying bags marked as DNA samples, a person familiar with the case said. Investigators are hunting for evidence that suspects Tamerlan Tsarnaev, Russell's dead husband, and his younger brother Dzhokhar Tsarnaev made and set off two bombs at the finish line of the race two weeks ago. The Wall Street Journal reported on Monday that investigators have found female DNA on at least one of the bombs used in the attacks. 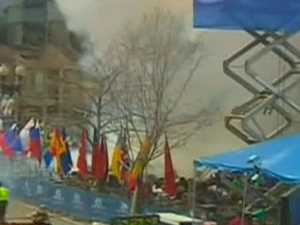 Police said the Tsarnaevs set off twin bombs on April 15 that ripped through the crowd watching the race on Boylston Street, killing three and injuring 264. The Tsarnaevs three days later led police in a wild car chase through metropolitan Boston, throwing grenades and exchanging gunfire as the officers closed in. Russell, 24, said through her lawyer last week that she was doing everything she could to assist officials with the investigation. Her lawyers have not said anything else, but a person familiar with the matter said the legal team has been negotiating how much access authorities will have to their client. FBI agents have been seen at the Russell house and at her lawyer's office several times since she returned to Rhode Island from Massachusetts on Friday, April 19, after her husband was killed. On Monday afternoon she was seen leaving the house with her lawyers and was later seen leaving her lawyers' offices in Providence, Rhode Island. Russell and Tamerlan Tsarnaev, 26, lived with their young daughter in Cambridge, Massachusetts. Police have said they found bomb material in that apartment. Her lawyers have said she didn't know much about her husband's activities because she spent most of her time working as a health aide near Boston while he was home watching the child. Two law enforcement officials said both the FBI and local law enforcement agencies are now looking beyond the Boston area to try to identify associates or confederates of the Tsarnaev brothers. The Wall Street Journal said officials familiar with the case cautioned that there could be multiple explanations for why the DNA of someone other than the two bombing suspects could be on remnants of the exploded devices. The genetic material could have come, for example, from a store clerk who handled materials used in the bombs or a stray hair that ended up in the bomb, the newspaper said. Also on Monday, an autopsy on Tamerlan Tsarnaev determined precisely how he died after a bloody shootout with police but the results can't be made public until the body is claimed, a spokesman for the Massachusetts Medical Examiner said. Authorities and the public have been waiting to learn whether Tsarnaev died in a hail of police bullets or when he was run over by Dzhokhar when the younger Tsarnaev fled in an SUV they had stolen. Tamerlan Tsarnaev had stepped outside the SUV to shoot at police when he was hit by gunfire and was then run over by his brother when the younger Tsarnaev escaped. He was pronounced dead at Beth Israel Deaconess Medical Center. "The Medical Examiner has determined the cause of death," said Terrel Harris, spokesman for the Massachusetts Office of the Chief Medical Examiner, but added that these findings will not be made public until the body is claimed and a death certificate is filed. Russell would be permitted to claim the body from the medical examiner, the spokesman said. Dzhokhar, 19, was captured on April 19 and has been recovering from bullet wounds at a prison medical centre outside Boston. 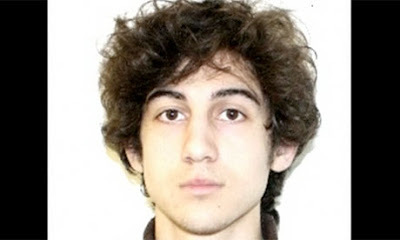 The initial debate over the treatment of Dzhokhar Tsarnaev focused on whether he should be advised of his Miranda rights or whether the "public safety exception" justified delaying it. In the wake of news reports that he had been Mirandized and would be charged in a federal court, Icredited the Obama DOJ for handling the case reasonably well thus far. As it turns out, though, Tsarnaev wasn't Mirandized because the DOJ decided he should be. Instead, that happened only because a federal magistrate, on her own, scheduled a hospital-room hearing, interrupted the FBI's interrogation which had been proceeding at that point for a full 16 hours, and advised him of his right to remain silent and appointed him a lawyer. Since then, Tsarnaev ceased answering the FBI's questions. "Until that point, Tsarnaev had been responding to the interagency High Value Detainee Interrogation Group, including admitting his role in the bombing, authorities said.A senior congressional aide said Tsarnaev had asked several times for a lawyer, but that request was ignoredsince he was being questioned under the public safety exemption to the Miranda rule." So now the Washington "debate" is going to be whether (a) the Obama DOJ should have defied the efforts of the federal court to ensure Tsarnaev's rights were protected and instead just violated his rights for even longer than it did, or (b) the Obama DOJ violated his rights for a sufficient amount of time before "allowing" a judge into his hospital room. That it is wrong to take a severely injured 19-year-old US citizen and aggressively interrogate him in the hospital without Miranda rights, without a lawyer, and (if this report is true) actively denying him his repeatedly requested rights, won't even be part of that debate. The Free Syrian Army (FSA) reports Israeli fighter jets slipped into Damascus over the weekend and bombed a chemical weapons depot outside the city. The UPI reports neither Damascus or Jerusalem have yet confirmed the FSA reports, but we’ll update the news if and when they do. According to The Jewish Press (JP) ”many” reports came in over the weekend confirming the mission. Sources told the JP Israeli jets arrived over Damascus early Saturday morning, and circled Assad’s presidential compound before moving on to target the weapons site. 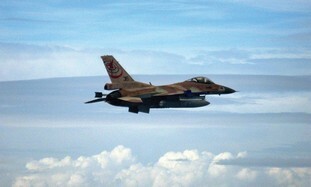 The Israeli jets reportedly received fire, but returned to base unscathed. The Lebanese Daily Star confirms heavy FSA fighting occurred near the plant, the Scientific Studies and Research centre, but troops lacked the resources to breach the heavily fortified site. It’s likely this is the centre from which the Syrian convoy bombed by Israel in January originated. Regardless of what exactly happened it appears to have been another deadly weekend in Syria. Syria's prime minister survived a bomb attack on his convoy in Damascus on Monday, as rebels struck in the heart of President Bashar al-Assad's capital. Six people were killed in the blast, the British-based Syrian Observatory for Human Rights said. Previous rebel attacks on government targets included a December bombing which wounded Assad's interior minister. U.N. Secretary-General Ban Ki-moon condemned the bombing, which he described as a "terrorist attack." As prime minister, Wael al-Halki wields little power but the attack highlighted the rebels' growing ability to target symbols of Assad's authority in a civil war that, according to the U.N., has cost more than 70,000 lives. Assad picked Halki in August to replace Riyadh Hijab, who defected and escaped to neighboring Jordan just weeks after a bombing killed four of the president's top security advisers. Monday's blast shook the Mezze district soon after 9 a.m. (2.00 a.m. EDT), sending thick black smoke into the sky. The Observatory said one man accompanying Halki was killed as well as five passers-by. State television showed firemen hosing down the charred and mangled remains of a car. Close by was a large white bus, its windows blown out and its seats gutted by fire. Glass and debris were scattered across several lanes of a main road. "Dr. Wael al-Halki is well and not hurt at all," state television said. It later broadcast footage of Halki, who appeared composed and unruffled, chairing what it said was an economic committee. In comments released by the state news agency SANA but not shown on television, Halki was quoted as condemning the attack as a sign of "bankruptcy and failure of the terrorist groups", a reference to the rebels battling to overthrow Assad. Mezze is part of a shrinking "Square of Security" in central Damascus, where many government and military institutions are based and where senior officials live. Sheltered for nearly two years from the destruction ravaging much of the rest of Syria, it has been sucked into violence as rebel forces based to the east of the capital launch mortar attacks and carry out bombings in the center. Assad has lost control of large areas of northern and eastern Syria, faces a growing challenge in the southern province of Deraa, and is battling rebels in many cities. But his forces have been waging powerful ground offensives, backed by artillery and air strikes, against rebel-held territory around the capital and near the central city of Homs which links Damascus to the heartland of Assad's minority Alawite sect in the mountains overlooking the Mediterranean. As part of that counter-offensive, Assad's forces probably used chemical weapons, the United States and Britain have said. However, the trans-Atlantic allies, whose 2003 invasion of Iraq to overthrow Saddam Hussein was based in part on flawed intelligence about an Iraqi program of weapons of mass destruction, have been cautious in their accusations. Ban said on Monday that investigators have been gathering and analyzing available information on alleged chemical attacks in Syria, but full access to the war-torn country is essential for a "credible and comprehensive inquiry. Assad's government has refused to give the U.N. inspection team the kind of unfettered access inside Syria that Ban is demanding. As a result, the team has yet to deploy to Syria. A Western diplomat said British officials had shown the head of the U.N. inspection team, Ake Sellstrom of Sweden, evidence on which London based its assertion that there was "limited but growing" evidence of chemical weapons use - possibly the nerve agent sarin - by Syrian troops. But Sellstrom found the evidence inconclusive, said the diplomat, speaking on condition of anonymity. President Barack Obama repeated U.S. concerns about Syrian chemical weapons in a phone conversation with Russian President Vladimir Putin on Monday, the White House said, adding that the two leaders agreed to stay in contact. The United States is trying to determine the facts around alleged Syrian use of chemical weapons. Last week U.S. officials said they had "varying degrees of confidence" that such weapons were used in Syria, which if proven with certainty could trigger unspecified U.S. action against the Syrian government. Despite congressional pressure to do more to help the rebels, the U.S. president has made clear he is in no rush to intervene on the basis of preliminary evidence. A U.N. team of experts has been waiting to travel to Syria to gather field evidence, but has yet to win agreement from Syrian authorities who want it to investigate only government accusations of chemical weapon use by rebels in Aleppo province. Russia, which has criticized Western and Gulf Arab support for the anti-Assad fighters, said that attempts by Western countries to expand the U.N. inquiry to cover rebel accusations of Syrian government use of chemicals in Homs and Damascus mounted to a pretext to intervene in the civil war. The U.N. said in February that around 70,000 people had been killed in Syria's conflict. 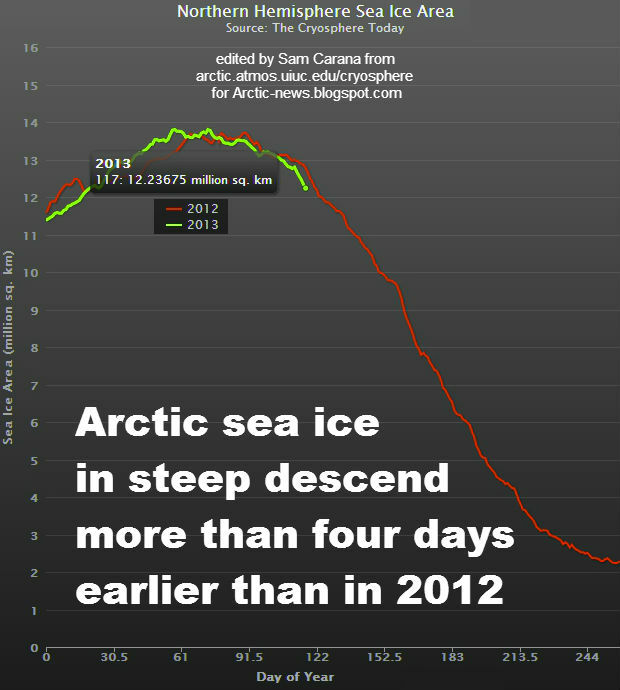 Since then activists have reported daily death tolls of between 100 and 200. Five million people have fled their homes, including 1.4 million refugees in nearby countries, and financial losses are estimated at many tens of billions of dollars. The Beirut-based U.N. Economic and Social Commission for Western Asia estimates that 400,000 houses have been completely destroyed, 300,000 partially destroyed and a further half million have suffered some kind of structural damage. Important background on the 'War on Terror"
The Syria Objective is Nearly Accomplished?